Wieviel Glück kann man eigentlich haben? Gestern fand der der 13te Tim Brauch Memorial Contest im Lake Cunningham Skatepark, San Jose, statt – und ich war zufällig über das Wochenende in der Nähe. Nachdem ich schon am Freitag mit meinem guten Freund Mickey im Potrero del Sol Skatepark eine ausgedehnte Morgensession hatte, kam mir ein Tag Zuschauen gerade recht – Knochen ausruhen und Inspiration tanken. Also bin ich am Samstag Morgen ganz entspannt nach San Jose aufgebrochen. 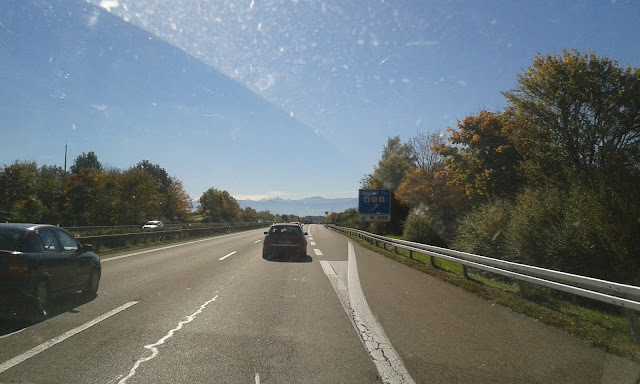 Das Wetter war genial: Sonnig aber nicht zu heiss. Und als ich um 11:00 ankam war der Park schon brechend voll und auf dem VANS Stand haben Steve Caballero und Christian Hoisoi eine Autogrammstunde abgehalten. How lucky can you be? The 13th Tim Brauch Memorial Contest was on yesterday at Lake Cunningham Skatepark, San Jose and I happened to be in the area. After having had an extended morning session the day before at Potrero del Sol with my good friend Mickey I was happy to spend the day watching, relaxing and getting some inspiration. So I made my way to San Jose on Saturday morning. Weather was perfect: sunny and not too hot. 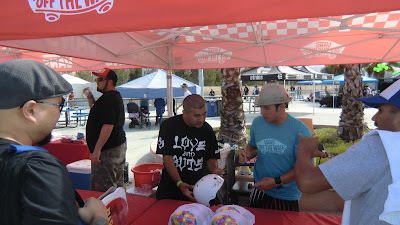 The park was already packed when I got there at 11 AM and Steve Caballero and Christian Hosoi gave autographs in the Vans booth. Ort der Handlung ist der „Skull Bowl“. Nicht wirklich ein Bowl, sondern eigentlich ein ziemlich großer Pool. Am ehesten kann man ihn mit dem Keyhole in München vergleichen. Nur vielleicht einen halben Meter tiefer und mit einem fetten Steincoping ringsum. Also wirklich schön aber auch ziemlich ehrfurchteinflößend wenn man die Größe nicht gewohnt ist. Amateure bis 13 Jahre inklusive Mädchen zeigen hier fette Grinds – besonders beliebt: Frontside Smith - und gut 1 Meter hohe Airs im Deep End von 9-jährigen Jungs. Es ist mir vollkommen schleierhaft, wie man mit so wenig Gewicht so viel Speed bekommen kann. The arena was the „Skull Bowl“. Not really a bowl but a massive Pool. It resembles the Keyhole at Munich but about 2 feet deeper and some fat concrete coping all around. Beautiful but intimidating if you are not used to the size. Ams and Girls up to 13 showed grinds, frontside smiths and 3 foot airs by 9-year-olds. I just don´t know how to get so much speed without any weight. 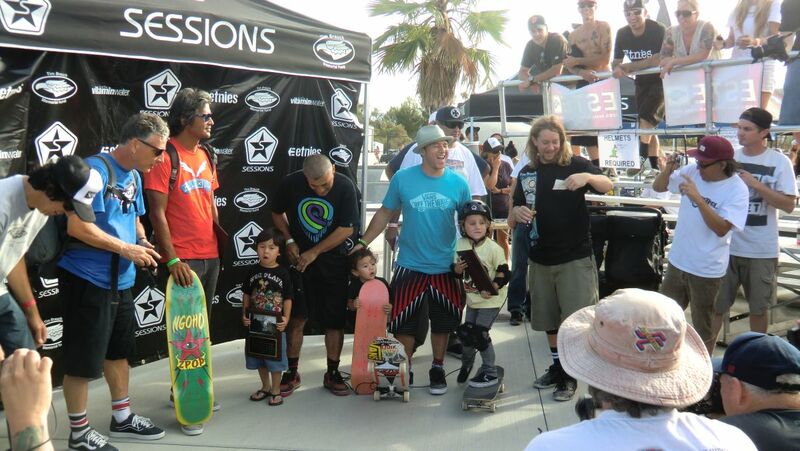 The pros showed all kinds of tricks, head high airs, 540s and absolutely no fear in the jam sessions. I have never seen anything like that. They snake no holds barred. We also do that sometimes but usually one of the snakers leaves the ramp really soon. Here, they just ride on. There were up to 4 skaters in the pool at a time. They did not ride behind each other but across in all directions doing all the hard tricks. Half of them was without pads…not my world. Then it was the masters – my highlight of the day. I recognized Steve Alba, Pat Ngoho, Steve Caballero ( a local at the park) Christian Hosoi and Jeff Hedges. (see awards giving photo, l to r) These dudes in their late 40s just go off in this pool. Really good tricks and airs but most impressive is their style, power and speed. Pat and Steves boardslides are spectacular when they roar past you 3 feet away. I managed to get a spot at the coping of the deep end. Nach der Siegerehrung um 5 war dann alles schnell vorbei aber die Stimmung war so gut, dass ich mir auch noch meine Pads angezogen habe und noch eine coole 3 Stunden Session bis zum Sonnenuntergang gefahren bin - Kalifornien, Du hast es einfach gut! Hier wird es wohl auch bald die offizielle Info zum Event geben. After the ceremony it was over fast but the vibe was great, so I put on my pads and had a 3 hour session until sunset - California style!